Rheem Water Heating is the industry leader for total water heating solutions. In fact, Rheem is the only brand with product offerings covering conventional storage-style water heaters, tankless water heaters, solar water heating systems, replacement parts and accessories for all categories. 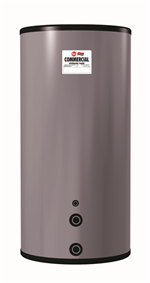 All Rheem water heaters meet and exceed rigorous industry standards for quality and reliability. From raw material delivery to finished product assembly, each phase in the manufacturing process is effectively overseen to ensure the highest quality in water heater manufacturing. Rheem products are frequently tested and certified by various government and third-party testing labs to ensure quality standards. Everything you need to repair your Rheem Water Heater.